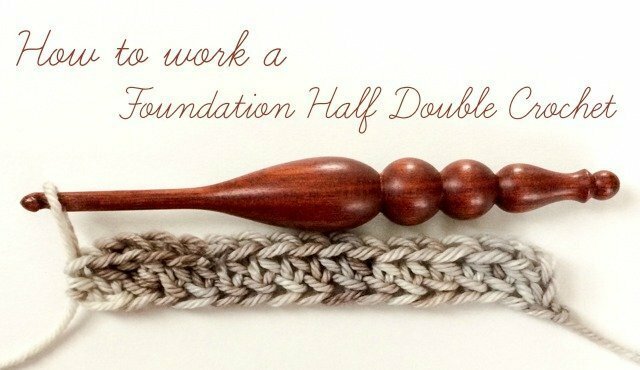 A few months back I shared a tutorial on how to work a Foundation Double Crochet , so today I want to share with you how to work a Foundation Half Double Crochet. Like the Foundation Double Crochet, the Foundation Half Double Crochet (abbreviated as Fhdc) is a way of starting a project without making a beginning chain. In effect, you are working your beginning chain AND your first row of stitches in the same step … awesome, right! There are some great benefits of using a chainless foundation, not to mention the satisfaction of jumping into your project right in your first row! One benefit of foundation stitches is that they tend to have more give and elasticity (especially helpful for cuffs, necklines, and heels) and can be extremely helpful for those who tend to work their beginning chains too tightly. Start as usual with a slip knot on your hook and ch 3. Yarn over and insert hook into 3rd chain from hook (this chain counts as the first chain in your foundation and the skipped 2 chains count as the first half double crochet) and pull up a loop (3 loops on hook), yarn over and pull through first loop (this counts as your second foundation chain; 3 loops again on hook), complete as you would a normal half double crochet (i.e., yarn over pull through the remaining 3 loops on hook). You have now completed your next foundation half double crochet. *Yarn over and insert hook into the chain at the base of the foundation half double crochet just made, yarn over and pull up a loop (3 loops on hook), yarn over and pull through first loop (this counts as your next foundation chain; 3 loops again on hook), again complete as you would a normal half double crochet (i.e., yarn over pull through the remaining 3 loops on hook). Another foundation double crochet completed. I’ve gotten so many compliments and questions about the hook I used here for this tutorial that I thought I would add the information right here for those of you that are interested. 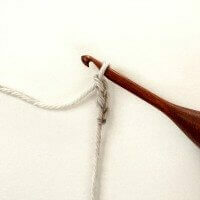 The hook is a handmade wood Furls hook and it is divine! You can find out more about it or buy your own through my affiliate link here or by clicking on the image below. I love that hook! Where are they available? And thanks for the tutorial! I’ve never tried this….. but I will now! Nope, you didn’t miss anything 🙂 I just added it because so many people were asking about it on Facebook and via emails. If you want a version that is cheaper, try the Odyssey one from Furls. I love it and would love one in every size. The weight and balance is perfect. 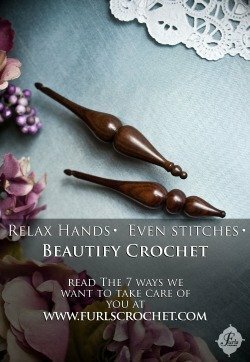 As I have been doing foundation starts all my crochet life, I never thought to look for tutorials. But since I found them on your site, I have been showing the Ladies at my Craft Group how to do it.Thank you so much for making a printable, we can make it so much easier for the entire group to learn. I really like this stitch. It makes a stretchy foundation for the first row of my project.